The Simandou Mountains that stretch across the tiny country of Guinea hold one of that country’s best chances for economic progress and for releasing it from the chokehold of poverty. Simandou is a veritable treasure trove of natural resources: it has for example, one of the world’s largest deposits of iron ore. How these resources are developed in the near term, balancing the dire need for economic development with the complexities of environmental stewardship, protection of human rights and enabling benefits to local communities, will determine whether Simandou can help raise Guinea from its current low economic standing (e.g. the country is ranked 178th out of 186 countries in the UN Development Programme’s Human Development). Guinea’s ability to address these challenges may be most acute in the extractive industries context but, interestingly, the financial sector is increasingly finding itself drawn into the debate on its role in encouraging more responsible and inclusive development, given the fact that it raises and provides financial solutions to underwrite such extractive development. 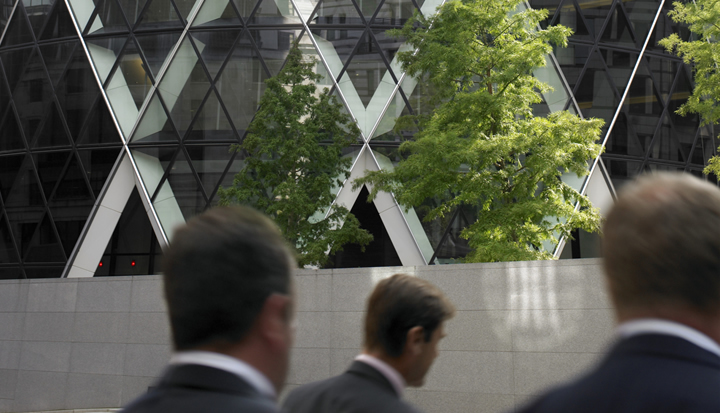 A growing number of financial institutions undertake voluntary E&S risk due diligence in making lending and investment decisions; specifically, financial institutions assess the potential material risks of extending a loan to, or making an investment in, a company which causes environmental and social (E&S) impacts. Until recently, very little was known about how financial institutions went about taking these issues into account and stakeholders have been focusing on gaining a better understanding of the due diligence and decision making practices of these institutions. With increasing regularity, questions have emerged about the application of the various multilateral sustainability frameworks which govern how corporations should act: for instance, how do the OECD Guidelines for Multinational Enterprises (OECD Guidelines) and the United Nations Guiding Principles on Business and Human Rights (the Principles, sometimes referred to as the Ruggie framework) apply in the context of the provision of financial services? On behalf of the OECD, the Dutch Ministry of Foreign Affairs commissioned Sustainable Finance Advisory (SFA) to undertake a study to shed more light on the approaches in the financial sector: specifically, to provide a sector-wide mapping and analysis of existing E&S risk due diligence practices, for the main types of products/services that these institutions provide. E&S due diligence practices (including human rights) undertaken for these products/services. The insights are captured in the report Environmental and Social risk due diligence in the financial sector…, recently released by Simon Smits, the Dutch Vice-Minister for Foreign Economic Relations. This blog focuses on the human rights aspect of the study. The results were illuminating. The study findings showed serious commitment paired with systematic efforts across most financial institutions: 90% of survey respondents that have a policy/position statement on human rights said it is integrated into and/or coordinated with E&S risk policies. However, it should be noted that as the study sample included those institutions that can be considered leaders on E&S risk due diligence these findings are unlikely to be reflective of the entire sector. There were question marks about the responsibility and leverage of financial institutions over their clients/investee companies in relation to E&S (including human rights) issues. This case illustrates the challenge: financial institutions are in a long, drawn-out process of establishing what role, responsibility or level of leverage or influence they may have over client/investee company’s behaviour on human rights issues. Our study found a range of factors that may affect the potential level of leverage or influence a financial institution might have over its clients or investee companies. Outcomes tend to be case specific, as illustrated by the ten examples of actual transactions in the study report. There is also a difference in sentiment as to how much leverage or influence financial institutions believe they have versus what a growing range of interested stakeholders perceive them to have. At the OECD Global Forum on Responsible Business Conduct, leaders from governments, NGOs, financial institutions and other practitioners discussed and debated these issues. One statistic was telling: only one in six participants were from the private sector or the financial sector. For meaningful engagement and action by the finance sector on human rights, it will be important to get them a seat at the table. Country NCPs and financial institutions are looking for more clarity around how the OECD Guidelines and the Principles can and should be applied in the financial sector. The sector also seeks more clarity around how NCPs work, what they do and how, and whether there will be any functional equivalence in application from country to country. Of more concern is that a large part of the global financial sector is not even aware this discussion is happening. Our study highlights examples of good practices and evidence of many committed, talented individuals in the financial sector who are passionate and very good at what they do. However, the leaders are too few and the playing field too uneven. Whether strange bedfellows or not, all financial institutions (beyond the handful of leaders) will need to acquaint themselves with human rights issues in their lending and investing practices. All stakeholders concerned, from developed and emerging economies, must together: (1) identify ways in which multilateral guidelines and processes can help level the playing field; and (2) support uptake and consistent implementation; both without preventing individual institutions the ability to define a right-sized approach for their specific business models or contexts. This is crucial to drive change at the speed and scale needed to tackle the increasingly complex human rights and human development issues playing out in countries such as Guinea. The OECD Working Party for Responsible Business Conduct has an exciting opportunity and platform to drive meaningful collaboration and cooperation going forward.